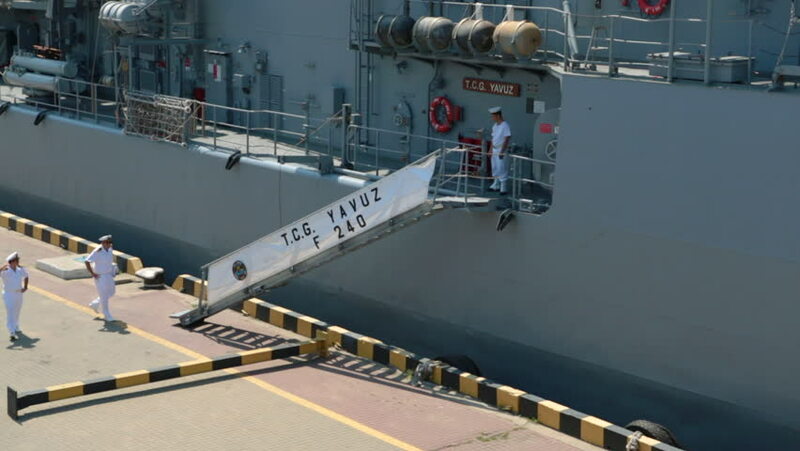 Odessa, Ukraine July 13, 2018: Captain coming on Turkish military ship of NATO forces in port during naval exercises in Black Sea. Crushing of naval forces of NATO of Mediterranean Sea. 4k00:20Cars and trucks roll down the highway as a train enters the frame and rolls through.